Everyone knows that travel gives you a broader sense of “the world”, and ultimately redefines the reality of your personal universe. Everyone’s personal universe is different. It is your concept of “the world” at any given time, and it can expand beyond the realms of our galaxy or in an instant it can contract down to a single spot on your arm. Whatever you are concerned with at the moment, that is your personal universe. While you are reading this blog post, your universe is probably just the screen you are staring at, or maybe the room you’re sitting in. Your universe does not contain penguins dancing around on Antarctica, until now. Now that I’ve even mentioned it, your personal universe immediately expands to incorporate “penguins in Antarctica”. 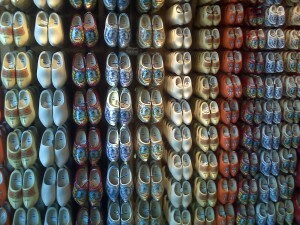 The above photo is a bunch of wooden shoes, hand carved by a Dutch artisan right there in Holland. 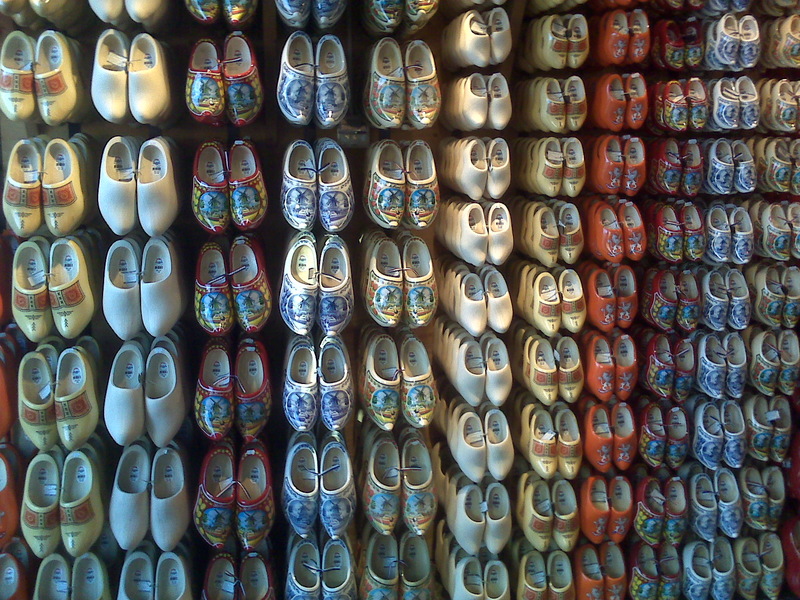 With each unique pair exhibiting their own “personality”, these wooden shoes are known as clogs and are still worn by a small segment of the Dutch population (mostly farmers). Their primary purpose is to protect the feet of hard working individuals from sharp farming implements and rough terrain, and be easy to get in and out of in a hurry. Above is a photo of a bunch of plastic shoes, injection molded by a Chinese or Mexican or some other outsourced manufacturer. These shoes are also sometimes called clogs, and are worn by a certain segment of the world population (not farmers). I’m not sure what their primary purpose is, aside from providing obscene amounts of cushioning so as not to upset the wearer’s ever expanding kankles. To be fair though, just about every photo I could find on google images show your average skinny hippy type wearing them. Even still, I can’t help but picture only fat/preggo, smoking, supermarket shuffling, smelly feet, “flip-flop slobs” wearing them. Just thinking about people’s sweaty feet squishing around in clammy plastic kinda makes me wanna do this. a) humans like color, but only in a contiguous pattern. Nobody likes chaotic color. 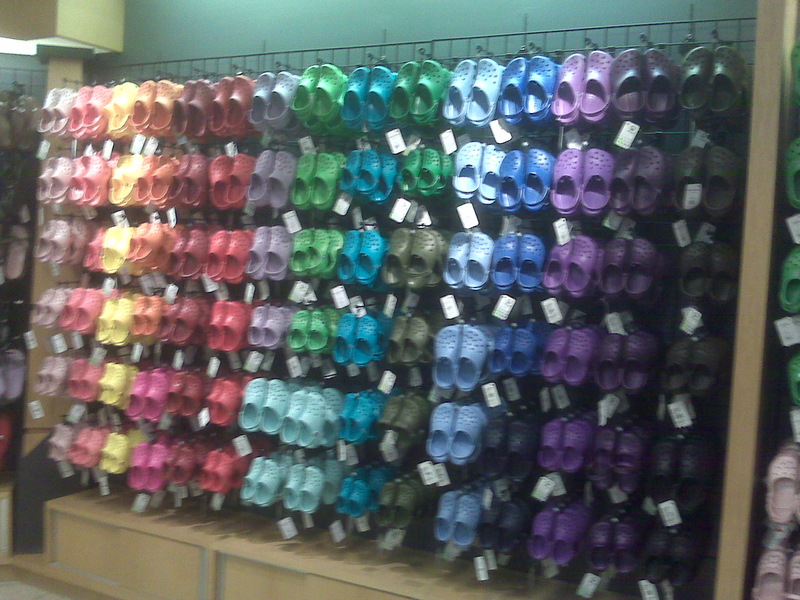 b) humans like putting colorful shoes on large vertical racks. 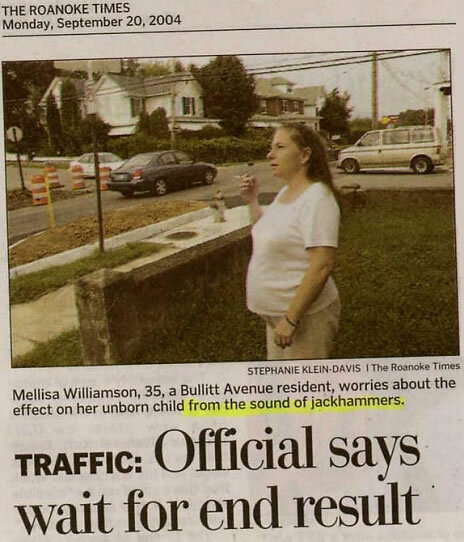 This entry was posted on Tuesday, August 19th, 2008 at 6:27 am	and is filed under Life in general. You can follow any responses to this entry through the RSS 2.0 feed. You can leave a response, or trackback from your own site.